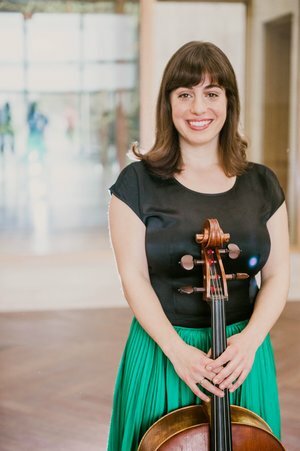 Described as "radiant and expressive" (The New York Times) and "nothing less than gorgeous" (Memphis Commercial Appeal), cellist Karen Ouzounian approaches music-making with a deeply communicative and passionate spirit. Winner of the S&R Foundation's 2016 Washington Award and at home in diverse musical settings, she has become increasingly drawn towards unusual collaborations and eclectic contemporary repertoire. In addition to her work with the Aizuri Quartet, Karen's commitment to adventurous repertoire and the collaborative process has led to her membership in the Grammy-nominated, self-conducted chamber orchestra A Far Cry and the critically-acclaimed new music collective counterinduction, along with regular appearances with the Silk Road Ensemble and The Knights. Highlights of Karen's recent and upcoming seasons include performances of the Elgar Concerto in Chile with the Philharmonic Orchestra of Santiago, a touring collaboration between the Silk Road Ensemble and the Mark Morris Dance Group, recitals at the Caramoor Center for Music and the Arts with pianist Ieva Jokubaviciute, a tour of Japan with the Orpheus Chamber Orchestra, and tours with Musicians from Marlboro and Musicians from Ravinia's Steans Music Institute. Additionally she has performed as guest principal of the St. Paul Chamber Orchestra, IRIS Orchestra, and Chamber Orchestra of Philadelphia.